Continuing care retirement homes are the right choice for many senior couples, and for others who think ahead. Continuing care, as we define it here, offers a robust range of care options in one location. Options may run the range of the care continuum, from independent living to memory care and/or long term care (though not all homes offer the full continuum). 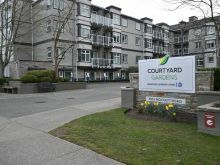 Residences listed below have a variety of care services that meet the needs of many seniors, including those with minimal care requirements simply wanting to live in a community of peers (independent living), to those who require attention around the clock because of dementia or other chronic health problems. 1. The biggest advantage of a continuing care facility is in allowing a senior couple with varied needs to live under the same roof. This scenario is seen often. For example, the wife may feel quite independent and still very active, while her husband has developed advanced care needs — related perhaps to a stroke, dementia or other health crisis. Continuing care is very beneficial to the wife, who will not have to provide care for her husband, can still see him and spend time with him daily, and she can make new friends and enjoy other benefits of life in a seniors' community. 2. Another advantage offered by continuing care is that it anticipates all the care needs of an aging individual. You can settle into a community like this and never think about moving again. 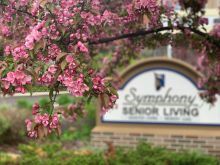 Many independent retirement living communities do not offer a continuum of care, so once an individual develops further difficulties or suffers a health crisis, they can no longer live in that community. They will have to move again, a stressful, difficult process. This is also part of what we call the best long term dementia care plan. 3. It will save the family time and trouble as their loved one ages through various stages. The family also will not have to worry about moving, and they will benefit from knowing that their aging relative is in a place they are familiar with and well-cared for. There are other less obvious advantages to finding a care home with a continuous spectrum of care. The disadvantages of continuing care facilities often centers around the issue of minding your budget. It's a fact that many people's health improves a lot after they move into a retirement home – when they get regular care, have all their basic household tasks taken care of by someone else, make new friends in a community of peers, etc. You can't really call this a disadvantage, but it is something that causes concern for families. Mind your budget, invest money and gather as many tips as you can to manage paying for senior care. But let's take a closer look at costs. How much does it cost to live in a continuing care home? Most units in these retirement home will be rentals: fees will cover all or nearly all of your living expenses. The final cost or pricing will depend on amenities available within the community, along with options you choose to pay for. Costs for specific types of care vary greatly of course, and many residences do not list rates for specific care services (e.g. catheter care) because of variables. A third factor affecting costs is local real estate rates (as well as regulations). In Ontario, rent controls are dependent on when the community was built; operators of newer residences have more leeway to raise rates. Another question (related to costs) that people ask is: Why would I want to move into one of these communities when I live so cheaply at home? However, many people do not know exactly how much they are paying to live in their traditional home. There are many expenses and costs associated that you may be forgetting. You may look at all the above monthly or yearly bills and figure that living in a retirement home is more expensive than aging at home. car insurance, car repairs: see above. How much did you spend on this in the last year? groceries: do you budget? Do you buy food at the local convenience store? 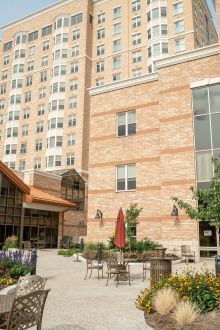 When people add in these forgotten costs, many come to realize that communal living in a continuing care facility is far more affordable than they first thought. Both lists above are wiped out by that single monthly umbrella payment charged by the retirement community. Many come to say that, even if they don't consider themselves rich, they realize they can afford it. Comfort Life has talked to many seniors and couples who have moved into a continuing care retirement home and soon felt "right at home." Those were the exact words of Joyce and Sydney Kuttner, who moved into one of the many Toronto continuing care homes. The residence they moved into allowed them to keep their dog, in fact, which cemented it for them. The couple realized they had to move after Joyce was hospitalized for three months, and Sydney knew that he couldn’t care for her in their original home. After they moved into a seniors' home, Joyce "walks by herself. 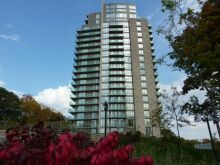 [Their continuous care residence] has rejuvenated her." You can read their story here. That's just one of many stories. Lloyd and Mary Augustus moved into a Mississauga retirement home "for health reasons," specifically Lloyd's lingering health issues from cancer. When they looked at the suite, though, it was Mary who "fell in love with it." She was in fine health, but Lloyd benefited from the continuing care environment where he could get "medical assistance right in the building." And conveniently, Mary could live with him while remaining independent. Read their story. 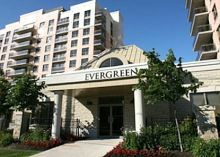 One more story: Evelyn and Doug Blackburn moved into a Mississauga continuing care home after they both encountered health problems. Again, continuing care was an ideal solution, since their problems were not the same and were handled by staff with differing expertise. Their story is just one of many similar stories and stories of people who discovered newfound happiness in a retirement community. Continuing care is defined differently by different sources. 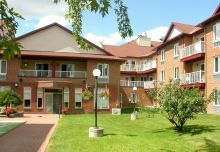 Here, we are following from the definition used selectively in Canada: Continuing care retirement communities, (CCRCs) are communities with a variety of care options under one roof, allowing senior residents to transition from basic assisted living to memory care or even long term care, if needed. In some cases, the continuum of care extends all the way from independent living to palliative care, but not many homes fall into this category. More loosely, this applies to any community that offers two or more levels of care. This definition of continuing care may be used more commonly in the US. There are some in the retirement home industry who feel that continuing care is synonymous with long-term care. On another hand, the Canadian Institute for Health Information defines "hospital-based continuing care" as a service for those who are not ready for discharge from hospital but who no longer need acute care services. As they note, this is synonymous with (or perhaps better known as) extended care, chronic care or (their subtle distinction) "complex continuing care." This confusion of usage is unfortunately part and parcel of the usage of health terms related to senior care. Comfort Life offers comprehensive reviews of continuing care residences, incorporating ratings from users as well as our own professional review of each community, its facilities, the care it offers and how it compares to others nearby. See our retirement home reviews. For the great majority of seniors, staying at home as long as possible – aging in place – is the only way they want to live. While in many cases there is a prejudice against retirement homes that is indeed outdated, this fact remains. Continuing care at home is needed by many. 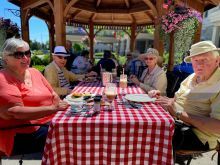 Governments at the federal, provincial and municipal levels all need to continue to make adjustments, to facilitate people aging in place, as the Canadian population continues to age. We list providers of continuing care at home.